Q1. Will I be able to get insurance with mental health and substance use disorder benefits through the Marketplace? Plan deductibles, which determine the plan’s metal level, and any out-of pocket expenses such as copayments can also differ among plans. However, these differences should generally apply across the ten EHB categories offered under the plan. A qualified health plan cannot simply leave out coverage of mental health benefits and substance abuse services from its coverage, or single out this one category to impose special annual or lifetime coverage limits. Q2. Are all insurance plans required to offer MH/SUD benefits under the law? A. As noted above, every plan that offers insurance in the Marketplace must include MH/SUD coverage. Outside of the Marketplace, some of the consumer protections enacted under the Affordable Care Act (ACA) do not apply, or they will only start applying after a certain date. For example, the EHB coverage requirement, including MH/SUD benefits, does not apply to grandfathered plans. Grandfathered plans also do not have to abolish annual and lifetime limits that are specific to MH/SUD benefits until 2015. These plans existed as of March 23, 2010, the effective date of the ACA, and have not had any significant changes in benefits, premiums, copays, or deductibles since that date. Grandfathered plans are generally sold as individual plans outside of the Marketplace or are offered by an employer. If you are currently a member of a grandfathered individual or employment plan, you will not get the benefit of the EHB coverage requirement, and the prohibition against annual limits on particular benefits such as mental health services will not apply until 2015. If you have a one year individual contract in a grandfathered plan, you can choose not to continue in the plan and seek new insurance through the Marketplace. Similarly, your insurer could also choose to eliminate a grandfathered plan for business reasons, although you are entitled to an advance, 90 day notification if this happens. Individual grandfathered plans are supposed to lose their grandfathered status if they newly enroll members in the plan after March 23, 2010. Employment-based grandfathered plans can continue to enroll new members after March 23, 2010. Q3. Does mental health parity under health reform mean that I can now get all the mental health services that I need? A. Not necessarily. Qualified Health Plans in the Marketplace must offer MH/SUD benefits in the individual and small group markets, but those benefits do not have to include a comprehensive set of MH/SUD care, treatments and services. The Paul Wellstone and Pete Domenici Mental Health Parity and Addiction Equity Act of 2008 (MHPAEA) works together with the ACA’s EHB provisions so that (1) individual and small group Marketplace plans must offer MH/SUD benefits in the first place, and (2) the MH/SUD benefits that are offered must be generally equivalent to medical/surgical benefits with respect to annual and lifetime dollar limits, financial requirements and treatment limitations. Q4. Under previous insurance policies, I have run into problems with restrictions on the number of visits I can make to my therapist in a year. Does mental health parity mean that I can still face annual limits on how often I see my mental health providers as long as there are similar limits on how often I can see medical providers? A. The MHPAEA does not outright abolish limitations on MH/SUD benefits except for annual and lifetime financial coverage limits. It is therefore possible that the Marketplace plans available to you will have restrictions such as annual provider visit limits. However, federal rules have made it much more difficult for a plan to impose arbitrary financial, treatment or care management limits for mental health providers. The federal government published a final regulation for the MHPAEA in November of 2013 that becomes effective for plan policy years that begin on or after July 1, 2014 in the individual Marketplace.3 The regulation indicates that “any treatment limitations applied to mental health or substance use disorder benefits may be no more restrictive than the predominant treatment limitations applied to substantially all medical/surgical benefits.” This establishes the broad requirement that MH/SUD benefits are supposed to be generally equivalent to medicals/surgical benefits, but in practice equivalence is established in a detailed and rather complicated way that hinges on how “substantially all” and “predominant” are defined. In a number of ways, this level of detail is actually helpful in the long run for anyone who needs MH/SUD coverage. Many insurers and plans have historically imposed different kinds of financial requirements, treatment limitations, and care management techniques on MH/SUD treatment without any kind of justification or research. The regulation essentially requires insurers to closely analyze how they attempt to control and limit medical/surgical benefits, and that becomes the floor at which MH/SUD benefits must also be offered. The MHPAEA requirements mean that you have a kind of additional source of information regarding financial requirements and treatment limitations since the medical/surgical benefits should be no more restrictive than the MH/SUD benefits. On the other hand, this does not tell you precisely what the policy covers when it says “mental health/substance abuse.” Also, it does not help you if the nature of your needed mental health/substance use treatment does not have real medical/surgical equivalents. For example, a quantitative restriction of no more than 20 out-patient provider visits in a three month period may be more than adequate for a number of medical/surgical needs because more serious medical conditions or emergencies would likely lead to at least some in-patient treatment that does not run into the restriction. An intensive short-term out-patient program, where an individual can remain anchored in the community with the support of family and friends, could be the best treatment option in the opinion of mental health professionals for someone with an eating disorder, but would likely run squarely into this coverage limitation. Q5. Does the mental health parity law provide other benefits to me as a MH/SUD consumer? Any non-quantitative treatment restrictions such as geographic limits, type of facility, or network adequacy that restrict the scope or duration of benefits are to apply equally to MH/SUD benefits as to medical/surgical benefits. Ultimately, you still need to find out as much as you can about every policy you consider to see if it will provide you with the particular MH/SUD treatments that you and/or your family need, for as long and as often as needed. Q6. How do I find out if a plan offered in the Marketplace will allow me to keep seeing my mental health professionals and cover treatments for my specific mental health condition or substance use disorder? A. 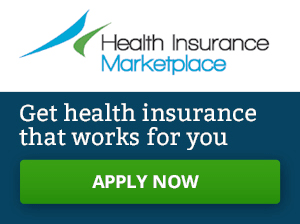 The Marketplace website at www.healthcare.gov provides a way to look at and compare plans before actually creating and submitting an application. After entering some basic information about you and your needs, the website will pull up plan options for you at different metal levels. Each plan option will have a “details” button that will pull up links to the plan’s provider directory, list of covered drugs, and summary of benefits. It should be possible to navigate from those links to more detailed information about whether the plan covers specific providers or prescriptions, or possibly a way to search within the plan’s provider network. Unfortunately, these links may not provide you with the level of detail you may need if you have questions about the plan’s coverage of specific MH/SUD care, treatment or services, such as inpatient rehabilitation programs that go beyond a certain number of weeks. For this information, you may need to gain access to a plan’s “Evidence of Coverage,” which is the actual document that gives detailed information about a plan member’s benefits. The Evidence of Coverage document can be difficult to get before you actually join the plan.5 Details about MH/SUD coverage in a state’s benchmark plan may be easier to locate, but as noted above, could still differ from what is offered in a particular plan if the state allows plans to engage in benefit substitution. Q7. Do I also get the benefit of mental health parity, and MH/SUD services being required, if I qualify for Medicaid or Medicare? A. Medicaid and Medicare have their own rules about parity between MH/SUD services and medical/surgical benefits, and there is also some overlap. For example, managed care Medicaid is subject to many of the MHPAEA parity requirements. In addition, the ACA expanded the application of MHPAEA generally to non-managed care Medicaid, both traditional and expansion Medicaid. As with private insurance, however, there is no requirement that Medicaid or Medicare provide coverage for a comprehensive set of MU/SUD care, services or treatments, or that it provide the scope, duration oer quantity of MH/SUD services that you or your family may need. Q8. If I don’t get enough mental health services through my employment health insurance or another source of insurance such as Medicaid or Medicare, could I get health insurance with better mental health services now through the Marketplace? A. If you qualify for Medicaid in your state, you are very likely ineligible to purchase insurance through the Marketplace and receive subsidies. You are free to independently purchase some other form of insurance, but you should be very careful to ensure that any additional coverage you are paying for out-of-pocket will actually make available benefits that Medicaid does not provide. You also need to know that Medicaid is almost always “the payer of last resort.” That means that Medicaid will only pay for services and treatments that your other non-Marketplace insurance, with its own additional financial requirements or treatment limitations, does not cover. This is the case, for instance, if you have Medicare coverage or are covered as an adult child under a parent’s private plan. If you have health insurance through your employer, most employer-sponsored plans in the U.S. include some level of mental health benefits. Also, the MHPAEA would have applied January 1, 2011 to require parity of coverage with medical/surgical benefits for group health insurance plans with more than 50 employees. If you are among those whose employer insurance has never offered MH/SUD benefits, or have employer insurance with a grandfathered group plan that has very limited MH/SUD benefits, then it is possible for you to decline your employer’s coverage and buy coverage through the Marketplace. However, the result may ultimately be more costly for you. First, you will likely not have the benefit of whatever contribution your employer was making toward your group employment premium. Second, the new Federal premium subsidies are not available to people who have declined the coverage offered by their employer. There are some exceptions to this that you will have to look at carefully. For example, if your employer’s grandfathered plan offered very limited benefits or required a very high employee contribution, you may still qualify for premium subsidies through the Marketplace. You will have to calculate if the out-of-pocket amounts that you may have to pay for MH/SUD services because of the limitations in your employee plan are greater than the financial consequences of foregoing your employer’s plan in favor of buying private coverage with better MH/SUD benefits. Q9. I’ve had trouble getting health insurance coverage in the past from private insurers because I have a record of treatment for mental health disabilities. How does the ACA make this better? A. Under the ACA, you cannot be denied health insurance or provided with lesser or more expensive coverage because of a pre-existing physical or mental condition. This rule applies both to non-grandfathered and grandfathered group health plans and group health insurance coverage, as well as non-grandfathered individual health insurance coverage. This basic consumer protection does not mean that you will be able to get a plan that provides all of the particular MH/SUD benefits that you need or want, but the fact that you have a pre-existing condition will not make the plan or coverage you seek either unobtainable or unaffordable. Q10. What happens if I still can’t get the MH/SUD coverage I need? A. The ACA’s prohibition on excluding individuals who have a preexisting condition from purchasing insurance or otherwise discriminating based on health status does not automatically transform historical insurance practices or products. The reality is that as you investigate products, you may encounter coverage conditions or exclusions that seem discriminatory to you. You may join a plan and find special limits or conditions on MH/SUD benefits only, or encounter policies or procedures that make it particularly difficult for someone with a MH/SUD condition to purchase the plan or actually use plan benefits. Each state participating in the Federal Marketplace establishes a minimum level of MH/SUD benefits through the state’s selection of a “benchmark” plan for the state, but a state can also choose to allow insurers to “substitute” specific benefits within an EHB category. As a result, every plan in your state may not have to offer exactly the same MH/SUD benefit package. Many states also have state laws that mandate health insurers to cover certain conditions or treatments. For example, some states have passed laws that require private insurers to include coverage for Applied Behavior Analysis (ABA) therapy for children with autism. These state mandates must be met by insurers that offer plans in your state, whether inside or outside of the Marketplace. Previously there was an interim regulation that applied to policy years beginning on or after July 1, 2010. For more details about the scope of MHPAEA and how it works, please see A Consumer’s Guide to the Mental Health Parity and Equity Addiction Act and the SAMSHA website. More information about the appeal process is available on the Centers for Medicare and Medicaid Services website. Also see How Do I Appeal a Health Plan Decision?